Amber came to my house last night and said Brooke, Brianna, and she was headed to Bowman's Cemetery and wondered if I would like to go. "Hell yes!" I said. I am always up for a ghost hunting adventure. It was quiet. It was calm. It was unnerving! 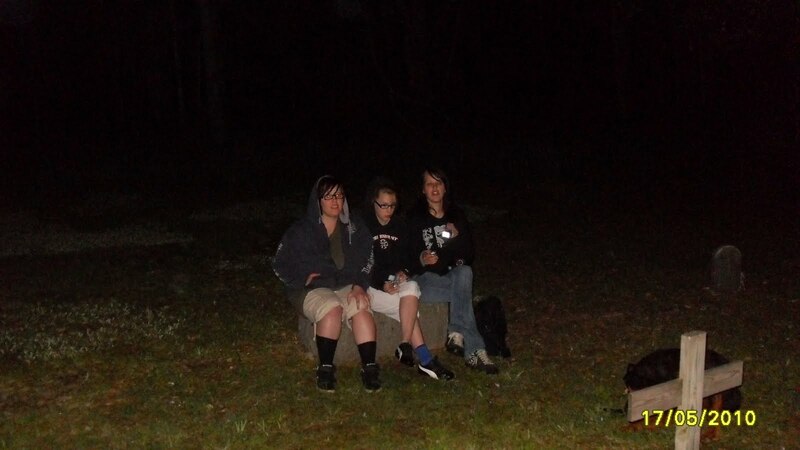 Every sound coming from the woods was the witch coming for us! At one point, it sounded like some one running through the woods. 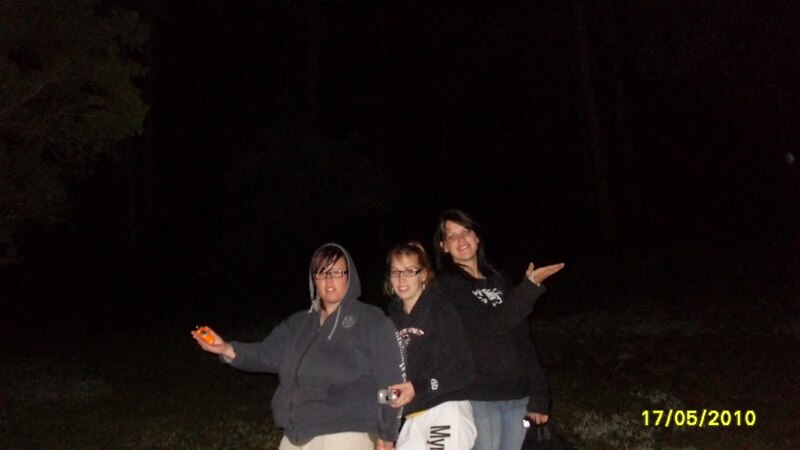 In true Ghost Hunters fashion we charged toward the commotion and found nothing. 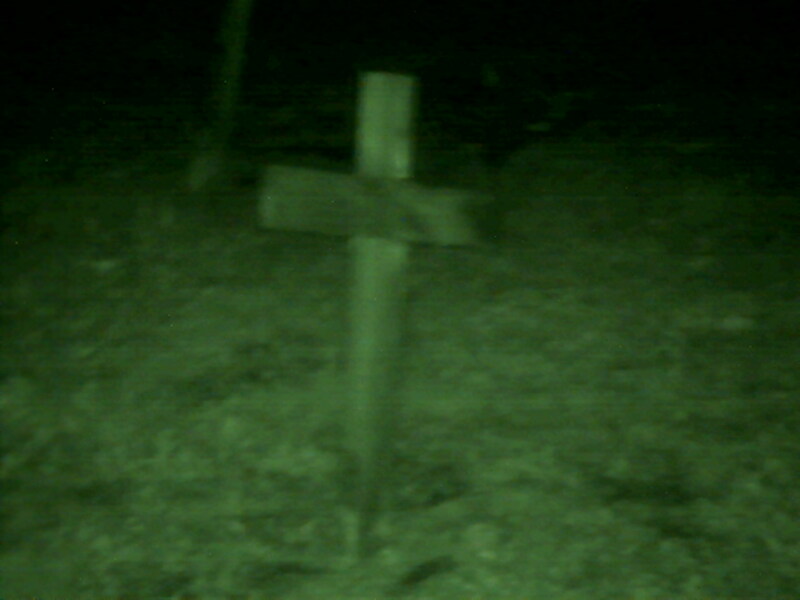 We used a night vision camera to take some pictures. Had fun with that. Pics turned out good, too. We also did several Ghost Box sessions. They are in line with the sessions from The Family Repeat Building. 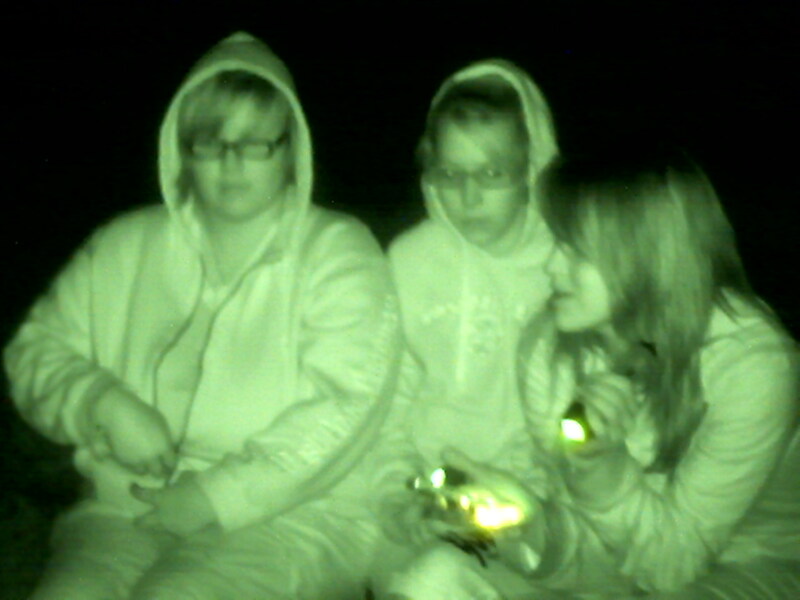 If you ever get a chance to take off some evening and ghost hunt all night (we went until 4am.) don't pass it up. It was really worth it. i went there last friday with my cousint and he heared whispering and i saw a face staring at me from inside the forest. 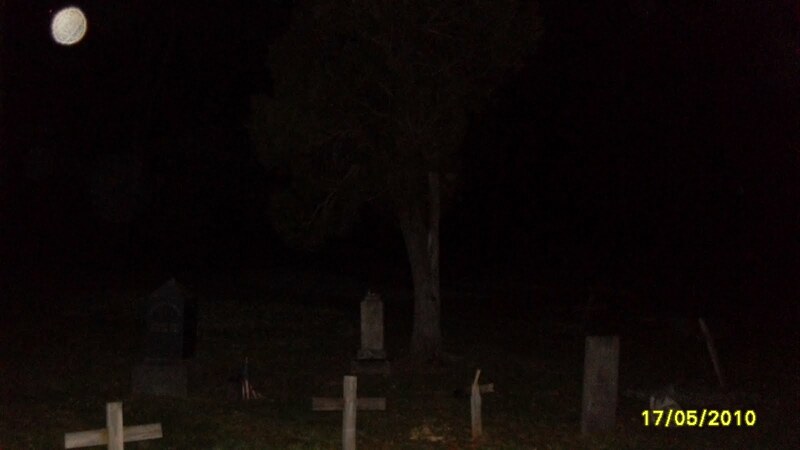 we standing in front of the hanging tree as i like to call it, the tree in the middle of the cemetery. i looked off too the right with my flash light and saw a face staring at me and as i stared it kinda just faded away.i felt uneasy the entire time even after i got home it still felt like that face was watching me.